I was in a bit of a book-reading funk earlier this year. I’m not sure what put me there. Perhaps I read a few stinkers in a row; perhaps I was in a funk myself, and therefore any task to which I turned my hand (or eyes) became funky by association. Perhaps both. Perhaps neither. But then I received an offer to review some books. Good ones. I got back on board with The Pink Fibro Club on Facebook. And I steam-rolled through a great selection of reads. Here’s a recent read that I’m still on the fence about (pun totally intended). Gwen Hill adores Green Valley Avenue. Here she has built friendships, raised her children and nurtured a thriving garden. So when the house next door is sold, Gwen wonders how the new family will settle into this cosy community. 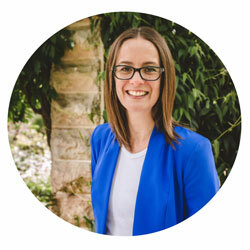 Francesca Desmarchelliers has high hopes for the house on Green Valley Avenue. More than a new home, it’s a clean slate for Frankie, who has moved her brood in a bid to save her marriage. This book is about lots of things. It’s about marriage. It’s about fidelity. It’s about boundaries, friendship, parenting, memory, expectations, gardening and career. And more. Yet it’s really about one thing. It’s about human interaction, in all its guises. The Fence is a page-turner. I finished it in two days. I didn’t enjoy every minute of it, but once I reached a certain point, there was no turning back. I simply had to know what happened, how everything would be resolved, and whether the fence (or what it represented) could in fact save a marriage. There were a few bugbears. The book contains a lot of run-on sentences, but I did notice that they usually appeared during the Gwen chapters. Perhaps that was just her voice. The presentation of Francesca was caricaturish. She’s antagonistic and races into a fight because defence is her natural state. But while every now and then a bit more of her was shown to help you understand, she never quite became a full character for me. The beauty of The Fence is that this didn’t stop me feeling empathy for her. She faced the constant judgement of friends, family, neighbours and, worst of all, herself. By the near-end of the book, I was warming to Francesca. And then, suddenly, I wasn’t. I don’t include spoilers in my book reviews, but I will say that I spent much of the book admiring certain character traits of Francesca’s, and felt that the ending dismissed them. Gwen felt more real than Francesca, and less antagonistic, but no less set in her ways. I found her the more relatable of the two characters (and I think I was supposed to). Again, no spoilers, but there is one point in the book where Gwen lets loose with her frustrations, and it is absolutely glorious. What I found most interesting about the book was the way Francesca’s children were spoken to, with and about. 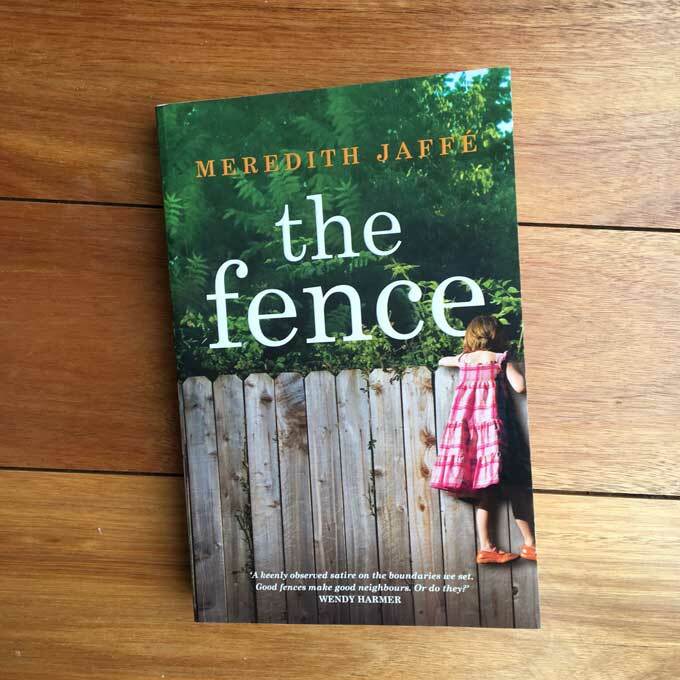 The questions of children, discipline, character and the boundaries and relationships between them all are played out beautifully along the same themes of the fence. If she was honest with herself, seeing Babs in such a state scared her, the reminder of her own mortality palpable in the shrunken version of her best friend. Oh Klaussman & Sons say all the right things about being a family-friendly company until anyone actually asks for the day off. Against their obvious delight stands their mother twisting the cord of her dressing gown as if trying to tie up all the sadness that leaches out of her. In light of the recent Camilla revelations, she wonders whether the Hills have become a convenient scapegoat for all the words she and Brandon should have shouted at each other. I’m aware that this review isn’t glowing with praise. I didn’t love The Fence, but I couldn’t stop reading it. It’s well-written and structured, and the tension both between the residences, and within each one, builds throughout. In fact, The Fence sat with me much the same way Liane Moriarty’s Big Little Lies did two years ago. Given the international success of that book (Nicole Kidman and Reese Witherspoon, anyone? ), I am sure that the world will love this one too. You can purchase The Fence from Booktopia here, and find out more about it from the publisher, Macmillan. Have you read The Fence? What did you think? * This is not a sponsored post. I received a copy of The Fence from Macmillan for the purposes of review. All views are my own. Some of the links in this post are affiliate links. If you click to purchase the item, I earn a little commission, but you don’t pay any extra. I’ve seen this one around but didn’t request it as I wasn’t sure it was for me. I’m glad you mostly enjoyed it though and am glad you’re out of your reading funk. Thanks Deb! Am now racing through books like nobody’s business! Sounds like something to look for in the library rather than pay for. I’ve been in a book funk too. And I must be the only person who hasn’t read Big Little Lies. No. I refuse to read anything with run on sentences. Just kidding. LOL. I’m not even really sure what that is. I can give you an example, it’s when two independent clauses are separated by a comma. While you add this to your list, I’ll add yours to mine! Thanks. Mum had a copy so I knocked it off yesterday while we’re here down the coast. Like you, I found it quite fascinating, like a peek over the back fence (!). I think books that feel that familiar are often page turners. Also like you, I found the ending disappointing. Actually, I am really, really angry about it. It made realise that all along it was indeed Gwen’s character we were to sympathise with (not hard to do at all – I liked her a lot and did not like Frankie at all). The book says a lot about modern society, but not in a way I agree with. I was very surprised to learn the age of the author. There was a review of this book in the our paper on the weekend – I think that reviewer felt the same way as you. I’m waiting for “The Long Run” to be delivered. Will have to check it out! Thanks. Oooh, I haven’t heard of this one – adding to the list now! Enjoy! Keen to hear your thoughts. The only time I have ever been in a book funk was for about 6 months after I left home as a 19 year old. In hindsight I was suffering major PTSD so that was probably why. Other than that, I’ve always got a good book on the go (if it’s rubbish I don’t bother after the first chapter or two). I wonder what I will think if I read this one?! I wonder what you will think, too! I think I was just TIRED. All the time. And making the wrong book choices, so I couldn’t get past the tired. My purchases at the Bendigo Writers Festival initially put me back on track! Oooh it sounds interesting, Em. Might have to check it out. I was in a book funk too, purely due to lack of time. Although I’ve just had two weeks off and failed to pick up a book in that time. Just out of interest, if you could only read one book for the rest of the year, which book would you chose and why? Do you mean a book I haven’t read yet? Or any book, ever, even if I’ve already read it? I’ve not even heard of it but your review reminds me of how I felt about Gone Girl. I didn’t really warm to either character which is unusual because most books have a stand out character that they make to be likable whereas like your description of this one, there were moments I started to warm to one of the characters and then I would quickly change my mind as the story was woven. Generally speaking I prefer books that have someone to love! Oh, I loved Gone Girl. Without empathising with the characters. I don’t think you need to love characters to love a book, but the writing has to be superb. I’m still on the fence about Big Little Lies, so I’m tempted to read this one just to see if I’m on the fence about this one, too… that’s really weird, right? Haha, I know what you mean! Keen to hear your thoughts, especially on the ending. Sounds like a good read I would enjoy. Added to the pile!